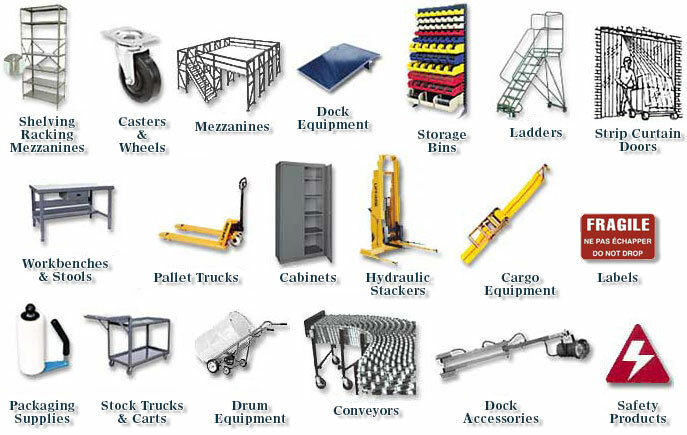 Material handling, warehouse equipment, and storage equipment are available for material handling, warehouse equipment & Industrial supply, from Manutel Inc. serving North American businesses since 1983. No provincial sales tax for Ontario & other provinces outside of Quebec. Since 1983, Manutel has provided material handling and warehouse storage systems and 1,001 other items at advantageous pricing. Our site is constantly growing, please contact Manutel for info. Click on the image below for product information.